Blue nails, two books, a case of PBR, a dozen good friends, great music, and a sun that rarely stopped shining. These things perfectly sum up three exhausting, but memorable and gratifying, days at Hillside 2011 in Guelph. Three days in the sun surrounded by interesting and creative people were exactly what I needed to be reminded that there is a life to be lived outside the GO Train and away from my computer. Hillside is possibly the best-organized festival I have ever attended. From the water-filling station to the reusable sporks, it is eco-friendly and inspiring, and it is always a pleasure to attend. I must admit, the initial line-up didn’t have me doing back flips, but I walked away from the festival with at least a dozen acts (Braids!) that I want to know more about. Dan Mangan has been playing through my earphones non-stop since Monday morning. There is one highlight that stands out among all others. A highlight that I share with many bloggers and tweeters who have expressed the same thing over the past few days. One that has me a little bleary eyed just thinking about. Fred Penner. I met Fred Penner. I heard him sing songs from my childhood that instantly came back to me. Somehow I knew every word to songs I haven’t thought about in twenty years. It truly felt like magic. My blue nail polish is chipping. I have uploaded my 300 pictures. The smell of campfire has finally left my hair. I’m back to chugging coffees and attempting to meet deadlines, dreaming of chickpea popcorn and the smell of sunscreen at Hillside 2012. This video is a personal favourite — Fred Penner sharing my love of books. "A story about a father reading to his son, growing up in a library, Spiderman, Ray Bradbury, and meeting the Minotaur just outside of Wawa." Every year, the Hamilton Fringe Festival approaches and I get excited, jotting down the names of all the plays I plan to see. Every year, I fail miserably. The last day of the festival ends without me ever setting foot in a theatre. I vowed this year would be different, and I finally lost my Fringe Festival virginity Saturday night to a self-professed bookworm named Corin Raymond whose one-man show actually made me want to leap from my chair yelling, "Yes, Corin! I feel exactly the same way about books!" Luckily, for the rest of the audience at the Downtown Arts Centre, I stopped myself. I admit that I thought that one man, on a stage, talking to an audience for an hour about books might seem pretentious. I couldn't help but think Raymond might be the look-at-how-many-books-I-have-read type. The type who reads Tolstoy on a road trip, just so people can ask him about it. (There's nothing wrong with reading Tolstoy on a road trip, but you know the type I mean!). Bookworm was nothing like that. In fact, just like me, Raymond HATES when people ask him how many books he's read. He'd rather talk about how books make him feel and how characters ranging from Spider-Man to Cormac McCarthy's protagonist from All the Pretty Horses, John Grady Cole, feel less like characters on a page and more like friends. Growing up, my friends were different than Raymond's. Mine were Jo March and Ramona. Davey from Tiger Eyes and Fern and Dorothy. And maybe, most of all, was Mistress Mary. I wanted a Secret Garden and a mystery to solve more than anything in the world. On long car trips, Raymond's father, twice a widower and the owner of thousands of books, would wrap his son's favourite books in newspaper, allowing him to unwrap them one by one at intervals. My parents weren't this creative — though I wish they were — but I remember carefully selecting at least a dozen books for every family road trip, wary of leaving any of my favourite characters behind. I guess it's obvious by now, but I loved Bookworm. I loved it so much that I not only want to see it again, but I want to read every book that Raymond lovingly spoke about, especially Ray Bradbury's Something Wicked This Way Comes. My Bradbury experience can be summed up in a few quick sentences compiled from half memories of a short story, followed by a movie (or was it an episode from a television show?) in Grade 7 (or was it 8?) that involved time travel and dinosaurs (possibly a T-rex). But if Raymond's careful description of the joy the book has brought to him countless times is any indication, I must read it. Anyone who lives in Hamilton — or near it — and who loves books must go see one of Raymond's remaining shows. I really can't recommend it enough. For more information, visit www.hamiltonfringe.ca. “We don’t talk about that.” This was the reply most often heard from István (known as Pista) and Vera Adorján when their family pressed them for information about their life as Hungarian-Jews during the Holocaust. The time Pista spent in Mauthausen, a category III (“Extermination through labour”) concentration camp was never a topic of conversation. The glamorous couple — he an orthopaedic surgeon and she a complex and temperamental music lover — spent many years at the mercy of history, surviving the Holocaust only to be forced to flee their home in Stalin’s Budapest, eventually settling in Denmark. Their lives together were marked with unimaginable challenges, but each they faced together. Pista and Vera’s second-to-last challenge came when an ailing Pista was told he was terminally ill, leaving a troubled Vera to contemplate living without him for the first time since they were separated during the Holocaust. Her immense fear led to the couple’s final major challenge — deciding how they would kill themselves. Their granddaughter Johanna Adorján was twenty when their bodies were found in bed, holding hands, in 1991. She suspects that it was her grandmother, then 71 and in perfect health, who orchestrated their final act of overdosing on a cocktail of pills, which were prescribed by Pista. In her gripping memoir, An Exclusive Love, Adorján pieces together her grandparents' final day, based both on her own speculation and clues left behind by her grandmother who meticulously cleaned her home, wrapped presents for family members and friends, paid her bills, and wrapped her beloved roses for winter on her final day, attempting to lessen the burden left behind on her family. These scenes weave together with scenes from Pista and Vera’s lives together, as Adorján recalls her own experiences with her grandparents, as well as those of family members and her grandparents’ surviving friends. It would be easy to romanticize this true story, but Adorján is rarely, if ever, sentimental. 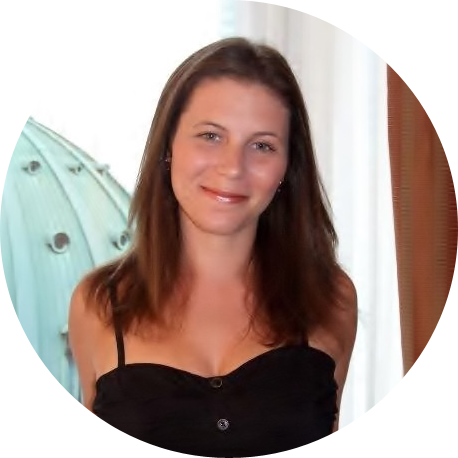 She uses her experience as a journalist to peel away the layers of her grandparents’ secretive cloak, unfortunately failing more often than not. The former journalism student and amateur family historian in me begged for more facts. I desperately wanted to know how it really was. I wanted to hear about Adorján carefully poring over naval records to find the truth. I wanted to hear that she lost sleep trying to find answers to all her questions. I wanted her to follow the steps that surely I would have taken if I was trying to solve a family mystery (or many of them). If the records didn’t exist after the First World War than I wanted to know why! Were they burned? Missing? Lost forever? I hate to take the words of another reviewer, but the Toronto Star’s James Macgowan chose the perfect word when he used “skeletal” to describe certain aspects of the book. An Enduring Love may not have been a perfect book for us who crave facts, but it was something else — reflective and stirring, but at times completely uplifting. There is no piece of writing that punches me in the gut like Joan Didion’s Goodbye to All That. Though I have never had the chance to fall in love with New York City as Didion did in her twenties, I did fall in love with another city — one that seemed only mine to discover as a 19-year-old transplant. I can only assume that Ottawa is not nearly as glamorous or exciting as New York City, but for me, it was my own — a new world with new friends and experiences that was difficult to leave behind. Like Didion, I know exactly when my life there began: I was an optimistic journalism student, having just packed up my most important belongings into my parent’s Ford Taurus wagon, and leaving many other things, including a new relationship, behind. The end is far more ambiguous. I know for certain it didn’t end four and a half years later when I once again packed my life into boxes, this time moving from Ottawa back to my hometown. It may have ended months earlier, when questions began spiralling in my head: Should I stay? Should I go? More likely, it ended months, maybe even a year later, when I finally finished struggling with the idea that maybe I made a mistake by leaving. That maybe it didn’t matter that my job prospects and relationship prospects (I stayed with the boy from the new relationship mentioned above, and I’m still with him today) were far better in Hamilton, because I so dreadfully missed my friends, part-time job, and freedoms of being a student equipped with a hefty loan and all the time in the world to accomplish all the things that need accomplishing. For awhile, I felt defined by that time of my life — the sun coming up over the Rideau Canal as a slight hangover began to take hold; reading on the shore of the Ottawa River; my first taste of political activity on the lawn of Parliament Hill; attending lectures on campus, even those that weren’t mandatory. In my twenty and twenty-one and even twenty-three-year-old head, these experiences couldn’t be recreated anywhere else with anyone else. "Nothing was irrevocable; everything was within reach. Just around every corner lay something curious and interesting, something I had never before seen or done or known about." Those days did come to an end, and when I return to Ottawa now, it is as a visitor who sometimes feels unfamiliar with the city —a Shopper's Drug Mart has sprung up beside the old movie theatre where I would catch double features when I should have been studying; new bartenders at my favourite pub don't know my order (bruschetta and a Caesar); and students ten years younger than I am now take summer classes and work part-time jobs, unsure of what lies ahead. Some things seem exactly the same — the smell of an elevator or lying on my stomach with a book on Parliament Hill can send me right back, as though I never left at all. This most recent trip was no exception, a mix of unfamiliarity and comfort that you can only experience in a city you once loved, but had to leave behind. I walked from my temporary home in Carleton's residences to an old favourite, Octopus Books, only to find it closed for the long weekend. My heart sunk a little. So I headed to Parliament Hill, snapping this photo of the Parliamentary library. It is the only part of the original buildings that was not destroyed by fire. 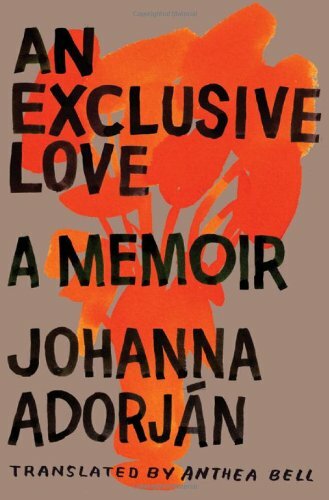 My book of choice was An Exclusive Love by Johanna Adorjan. My heart sunk for the second time of the day, this time when I realized my beloved Book Market on Dalhousie was closed for good. The obvious cure was a Caesar (well ... two) at my favourite pub, just steps from the empty Book Market called The Highlander. The staff has changed, but the Caesars are just as good as I remember.